The Kyäni Triangle of Wellness is our unique wellness system powered by Nitro Nutrition. 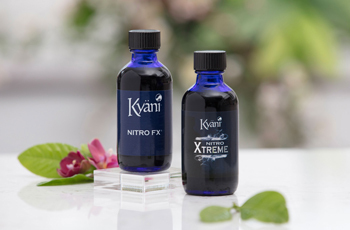 Containing vitamins, minerals, and Noni extract, Kyäni Nitro Xtreme helps the body metabolism processes, which are critical to our ability to absorb the nutrients in Kyäni Sunrise and Sunset. These three key products work together to provide us with unmatched nutrition and nutrient delivery. The foundation of the Triangle of Wellness is natural ingredients. Kyäni Sunrise utilizes the unique antioxidants in the Wild Alaskan Blueberry, Vitamin C and other nutrients to help us start the day with a burst of nutrition. 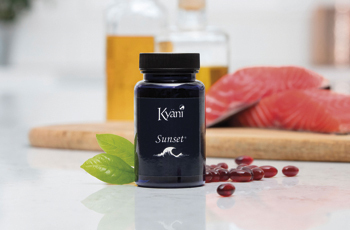 Complementing Sunrise is Kyäni Sunset, containing Omega-3s derived from wild fish including the Wild Alaskan Salmon, as well as Vitamin E Tocotrienols. The Nitro Effect ensures proper nutrient absorption as we take Nitro two to three times during the day. 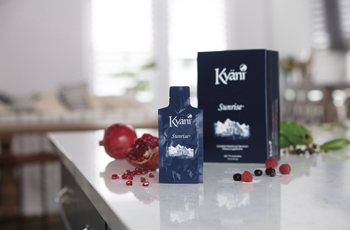 Kyäni Sunrise was developed to harness the powerful antioxidant polyphenols in the wIld Alaskan Blueberry. But that is just the beginning. Sunrise includes extracts from 20+ nutrients and a wide variety of vitamins and minerals to optimize wellness. With its water-soluble nutrients, Kyäni Sunrise is taken in the morning to maximize bioavailability. Available in handy single-serve pouches, Sunrise is a delicious and convenient way to start the day. Kyäni Nitro is the key that unlocks the full power of the Triangle of Wellness. Kyäni Nitro Xtreme provides you with Zinc, Chromium, Thiamin and Niacin to help your body’s ability to absorb nutrients through a boosted metabolism. This is called the Nitro Effect and it means more energy and fewer nutrients wasted. Our Nitro products contain extracts from the noni fruit, which your body can use to produce Nitric Oxide (NO), one of the most important signaling molecules in the body. Available as Nitro FX and Nitro Xtreme, Nitro is taken two to three times per day for maximum effectiveness and maximum nutrient absorbtion.